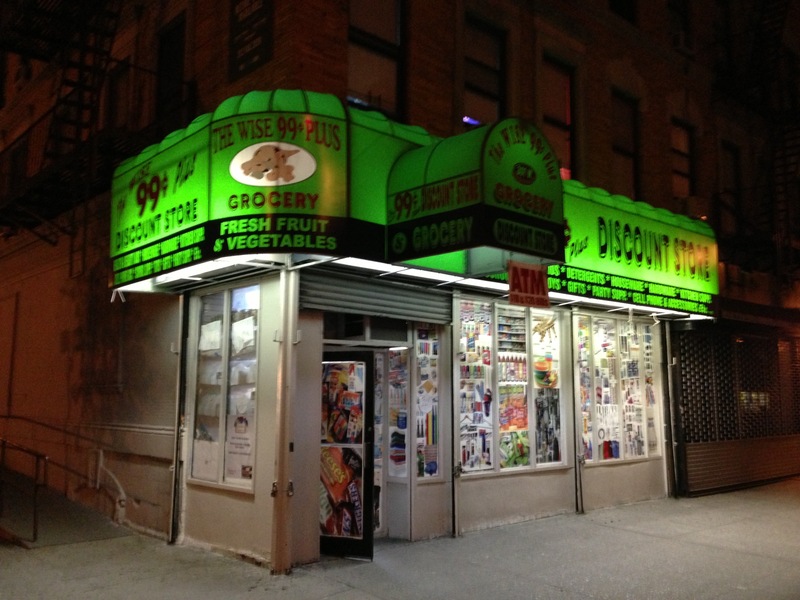 One of the long standing bodegas on Harlem’s Restaurant Row on 8th Ave and 114th st. will close in March due to rising rents. The bodega was often a lifesaver for us. I will not miss this front for drug trafficking. Take a look at what is happening in and around this place! didn’t see anything like that there in the last couple years. The place next to it is vacant. I wonder if a business will come in and combine both store fronts? With Melbas right across the street would be a good place for another restaurant or a CVS. This place is a frequent post up point, dice games, and has been fined in the past for selling drug paraphernalia for crack / cocaine- I won’t miss it.